Somehow, the holiday season always sneaks up on me (and I don’t think I’m alone)! Here is your just-in-time “how to” guide when it comes to spending the holidays with your families and managing the inevitable stress the holidays seem to entail. Waiting until the last minute to do anything only decreases your opportunity to create the kind of holiday experience you want. Get ahead of what you know is coming. If you’re hosting this year, issue some rules of the road ahead of time and ask for the support you’ll need (in the form of food, flexibility, time, etc.) to make events tolerable for your own household. — Does your family expect to land on you for 10 days? Only the most close-knit and congenial of families could be expected to jive well for this length of time! Be proactive and suggest a schedule that works for YOU, whether you are hosting or visiting. — Do as much as you can ahead of time, including meal planning, buying games or DVD’s for the kids, and washing bed linens so you can enjoy those fleeting moments of pleasant togetherness when they do happen. — Create a flexible itinerary (and provide ideas for outside events or local sights) so people can separate and then come together again refreshed. — Define how gift-exchanges will go and limit the number or cost of these gifts if this is a point of disagreement or conflict. If you’ll be visiting others, be considerate and offer your help (without being pushy). Create a variety of “outs” that will allow you to take a breather or visit a nearby attraction if others want to do something you won’t enjoy. — Don’t expect things to go exactly as planned: remind yourself that you’ll need to remain flexible to get the most out of the experience. — Do your in-laws know that you’re off work between Christmas and New Year’s and expect you to be there for every minute? Explain that you’ll come for 2-3 days and then want to return home to enjoy some quiet time as a family (even if it’s just the two of you). One of the hardest struggles is to remember that you’re no longer a child who needs to ask their permission. Don’t tentatively ask if what you want to do is okay with them: tell them what you have already planned to do and calmly stick to your guns. — Perhaps the MOST important thing is to try to contain the anxiety and dread that creeps in during this stage. It will only make things worse and distract you from the best case scenario that may occur. (There’s always a chance). One of the things that makes holiday gatherings challenging is the mix of preferences and personalities involved. Some of this can be predicted (based on past experience and observation) but where things may go sideways, a backup plan can be invaluable. — In conjunction with planning the concrete things like menus and activities, anticipate how different characters may try to run the show and coordinate the best responses with your spouse ahead of time. Talk about worst-case-scenarios and where your breaking points and non-negotiables are. — For example, do you have family members who interfere in the kitchen, demand all the attention, criticize your food choices, or love to create needless drama? (And who doesn’t)? Prepare rote responses and effective diversions. Work together to head these things off at the pass. The adage, “An ounce of prevention is worth a pound of cure” comes to mind here. — Develop codes or signals you can send to your partner and vice versa to let each other know when you want to consult or need a break. Just taking a walk around the block or going to a quick matinee can make the difference between surviving another day and having a blow-up. — If you know of individuals who don’t get along well, try to entertain them separately and don’t require them to interact or sit next to each other at the table. It’s not a time to try to “force” good vibes, as much as you wish things were different. If you’re the one who doesn’t like someone (or who isn’t liked by someone), take the high road. They may try to get under your skin but it will backfire if you ignore it and plant a smile on your face. — Dilute the intensity of your family interactions by inviting friends or neighbors to join you. Most people are on the best behavior when acquaintances are around and this could greatly increase the levity factor. While this strategy isn’t appropriate for every circumstance or event, it will dilute any negatively brought on by internal family tension. — Reinforce the idea that everyone has different traditions and holiday memories and invite them to share these with the group. This can really open up interesting and meaningful discussions and allow you to get to know extended relatives in a way you never have before. And don’t be afraid to create new traditions that bring you together and allow you to pass something to the next generation. — If you’re an introvert who enjoys one-on-one interactions more than large group hoop-la, focus on one person you’d like to get to know better and concentrate on building a relationship with that person. — Get your rest. Excuse yourselves early, even if the gathering is at your house. In addition to ensuring that you continue to burn bright (and not burn out), retiring early will limit your frustration and allow you to capture a few quiet moments with your spouse (or at least strategize how to survive the next day). — Remember the “reason for the season”! The holidays are about “Peace on earth and good will towards men (and women)” so remember why you’ve come together and keep that the focus of your visits. Model this behavior toward others – however annoying, demanding, and narcissistic they might be – and maybe – just maybe – you will get some of it in return. Most importantly, consider the holidays an opportunity to work together with your spouse and grow as a team. Pick your battles and stick together. Back each other up and support one another if things go south. You never know: maybe things will go well and you’ll makes some new and wonderful family memories. 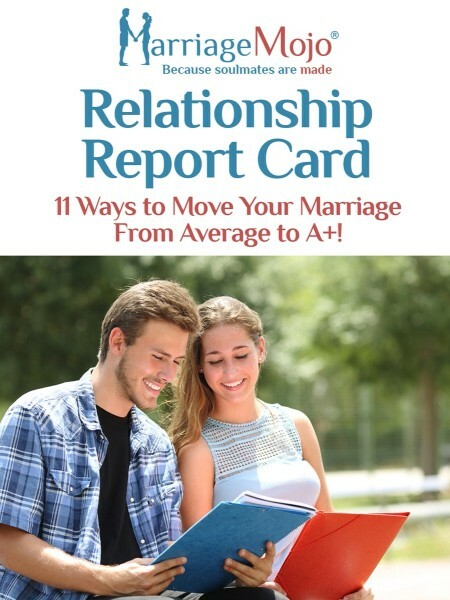 Are you ready to take your relationship to new heights? Get started here! What is your favorite “go-to” strategy to survive the holidays?